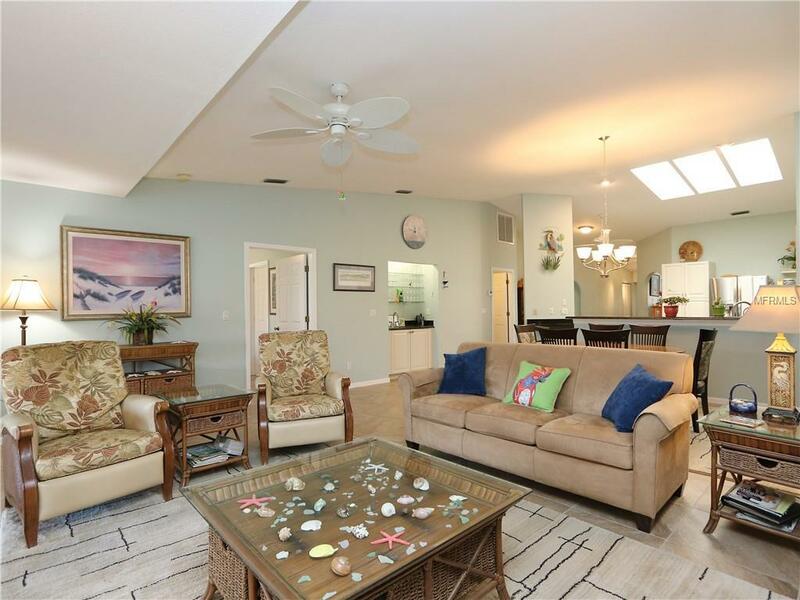 Spacious, 3 bed/2.5 bath, lakefront condo at Paradise Gardens Villas in Punta Gorda Isles. 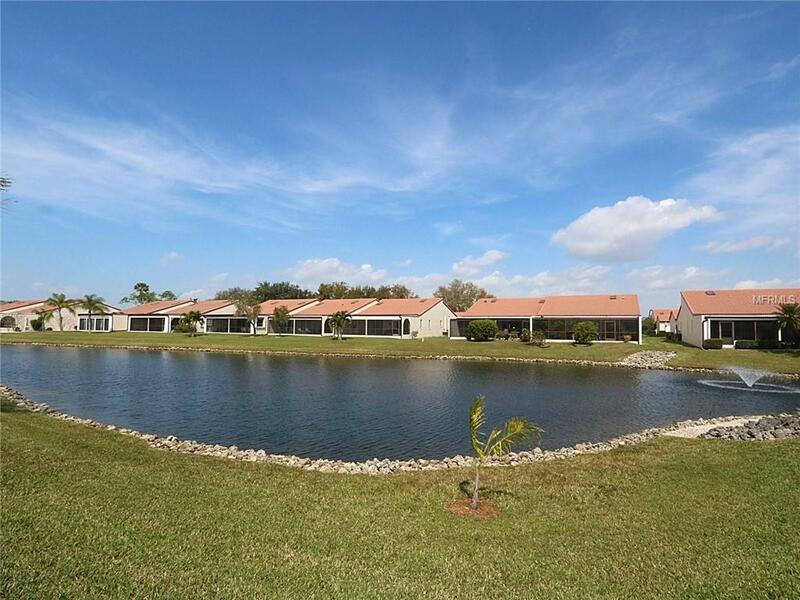 End-unit, villa w/detached, two-car garage & wonderful lake view. Inside, the condo features soaring cathedral ceilings w/six skylights, a wet bar, updated kitchen & baths plus porcelain tile throughout. The kitchen offers stainless steel appliances, granite counters, raised panel cabinetry plus a breakfast bar & built-in desk. 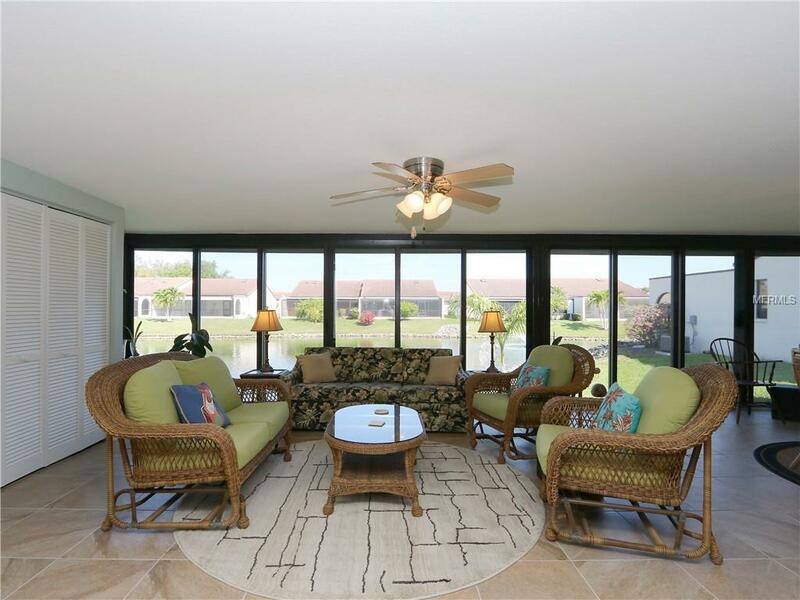 An enclosed, temperature-controlled lanai extends the living space outside w/fabulous lake views. The lanai offers three additional closets & plenty of room to kick back & enjoy the view. The condo boasts large bedrooms including a spacious, master suite w/oversized, walk-in closet & private master bath. The third bedroom is currently used as a home/office or den but easily converts back to 3rd bedroom. Other features include a detached, 2-car garage, screened patio at front of condo & electric, roll-down hurricane shutter for lanai sliders. 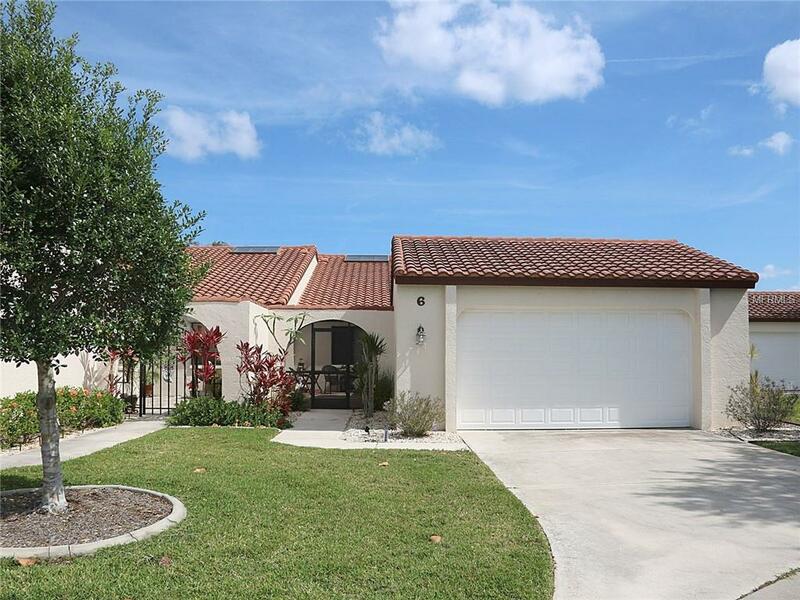 Condo amenities include two in-ground heated pools, clubhouse, gazebos & park-like setting w/well-maintained, tropical landscaping. Unit is in move-in condition. Make an appointment today. Additional Lease Restrictions Tenants No Pets. Lease Must incorporate By Reference Adherence To Condo Docs. Please Review Condo Docs For Complete Rules & Restrictions. Pet Restrictions Limited To One Domestic Household Pet. Tenants Are Not Permitted Pets.